A hybrid cloud approach can be advantageous to an organization’s disaster recovery strategy. Making use of both privately managed infrastructure and the public cloud allows businesses to make the most of both environments. When implemented correctly, hybrid cloud disaster recovery can be an option that provides flexibility, an improved user experience, and increased resiliency. 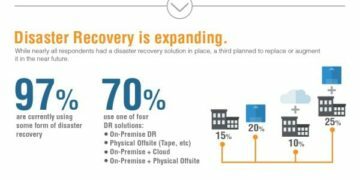 Consider these benefits when looking for a disaster recovery solution. A positive aspect of hybrid cloud disaster recovery is that management becomes easier. Because you will be partnering with a cloud service provider, the responsibility of implementation, configuration, maintenance, and overseeing the physical environment will fall on that vendor. This means that as the user, you will only need to switch between your primary and secondary disaster recovery sites via a centralized interface. By making use of this method, businesses save a significant amount of time and focus on more critical tasks, as there’s no need to micromanage their disaster recovery solution. With GDPR now in effect, compliance is on everybody’s mind. However, organizations that host sensitive data in the cloud tend to be at risk of not meeting compliance standards. A third-party, like a cloud provider, having access to your data can cause potential compliance problems. This is where using a hybrid cloud approach comes in handy. Because you can have access to your own private network, you have the power to replicate and encrypt your data within your network before transferring it to the recovery site. In order to best achieve redundancy, you must have a copy of your data that can be accessed immediately on-site, as well as a copy located off-site. Using the hybrid cloud helps in this situation by providing the secondary off-site backup location. The public cloud works well as a destination to use for cloud backups. Additionally, cloud storage tends to be less expensive than traditional storage, making it a viable option for this purpose. When your business grows, you want your IT infrastructure to grow with it. When making use of a traditional environment, businesses must purchase, implement, and manage new hardware. However, when using the cloud, organizations can scale up as needed. 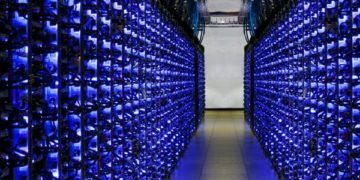 The cloud has almost limitless scalability, meaning that businesses can deploy multiple virtual servers and potentially operate many recovery sites if necessary. 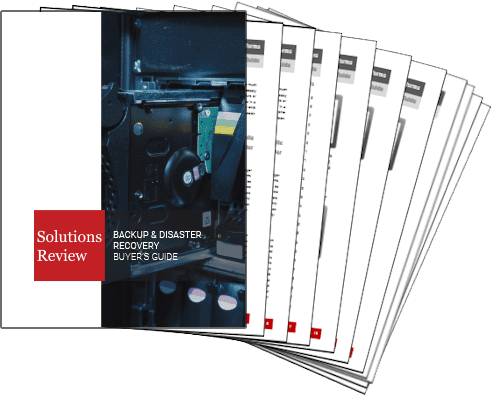 Because the cloud offers a more flexible pricing model than traditional environments do, hybrid cloud disaster recovery is less expensive than the traditional method. Businesses also don’t need to spend as much on physical resources with the addition of cloud resources. This way, small businesses have the opportunity to use their funds in ways they typically wouldn’t be able to when using traditional infrastructure exclusively. Hybrid cloud disaster recovery can be incredibly beneficial to businesses. While users should be aware that there can be some security issues with this method, it also allows for improved data protection, recovery, and management. 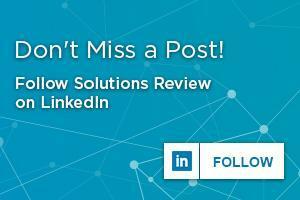 When looking for a disaster recovery solution, consider the advantages of this approach.